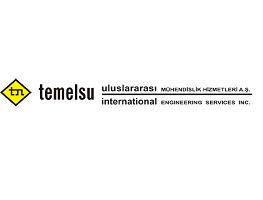 TEMELSU International Engineering Services Inc. is a famous Turkish consulting engineering company, founded in 1969. The company provides multifunctional engineering services locally and internationally at all stages of construction starting from geodetic survey to detailed design and supervision. It is registered in several international institutions, including the Islamic Development Bank, the Asian Development Bank, the World Bank, the Saudi Fund for Development, the Kuwait Fund for Arab Economic Development and others. geotechnics, electrical engineering and environmental assessment. Specialized project groups and service departments of the company provide a full range of technical services in the above areas. TEMELSU employs about 350 people, of which 210 are professional workers, and the rest are technical and administrative employees, who are distributed between the main office and Projects located in Turkey and abroad. TEMELSU was the first Turkish consulting company, which in the early 1990s was engaged in engineering projects in Central Asia and the Caucasus. This allowed the company to gain valuable experience and familiarity with local conditions and problems. Participated in many projects in various fields in Uzbekistan, Kyrgyzstan, Kazakhstan, Tajikistan, Turkmenistan, Georgia, Azerbaijan and completed all these Projects in the interests of all interested parties. Engineering and consulting services are carried out in the sphere of road construction within the framework of the project “Reconstruction of the road M39 Tashkent – Termez” with participation of the Islamic Development Bank. consulting services for preparation of a detailed project, tender documentation and supervision of construction of irrigation and drainage networks in Jizzakh and Syrdarya regions (funded by the Islamic Development Bank) and others. consulting services on Ak-Altin agricultural development project, Uzbekistan, funded by the Asian Development Bank and others. It should be noted that the company was involved in provision of design and management services within the framework of the project “Reconstruction of Tashkent Airport”, funded by the EBRD. 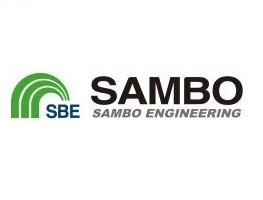 Sambo Engineering Co. Ltd. (or SAMBO) was founded in 1993 in South Korea. The slogan of the company is “Producer of Social Environment”. SAMBO is an independent company owned by individual shareholders. It is the fastest growing company in the Korean consulting services market and is expanding its activities around the world. SAMBO offers a full range of consulting services for civil engineering design, including project management, general planning, feasibility studies, environmental assessments, basic and detailed design, supervision over construction and training in a variety of disciplinary areas of transport, bridges and tunnels. SAMBO employs 389 people, most of whom have extensive experience in their specialties. Professional staff are integrated into a multidisciplinary team, suitable for solving any tasks under the guidance of a highly qualified team leader for providing services needed by the company’s customers. Since 2002, SAMBO has begun to expand internationally. Since then, SAMBO is strengthening its reputation in South Asia, Southeast Asia, Eastern Europe and Central Asia, such as Pakistan, Vietnam, Cambodia, the Philippines, Indonesia, Turkey, Uzbekistan and Georgia. In general, since its establishment, 1325 projects have been completed in the field of consulting services, as well as in the field of infrastructure on a national scale and in dozens of countries in which consulting services were provided on the master plan, conceptual design, business example, basic projects, detailed engineering development as Construction supervision. The company has conducted 51 major projects in foreign countries. SAMBO is doing everything possible for achieving further goals and plans to expand the territory of its business with accumulated records in neighboring countries and around the world. SAMBO has highly qualified professional staff of railway and subway, road, airport and bridge construction engineers, process engineers and civil engineers and supervisors, electrical and mechanical engineers, transport and urban planning engineers, water and resource processing engineers, environmental and social experts, cost engineers, CAD operators, etc., who are ready to deliver services to customers anywhere in the world in the field of planning, designing, implementing, operating and maintaining, as well as monitoring and evaluating projects. Sambo Engineering Co. Ltd. provided engineering and technical supervision services in 2012-2016 for construction work within the framework of the project “Reconstruction of 85 km of Guzar – Bukhara – Nukus – Beyneu” highway on a section of 355-440 km with participation of the Asian Development Bank. The completion of the project ensured an increase in international transit traffic. Created conditions for safe movement of goods and passengers in the direction of Bukhara – Nukus – Beyneu and back. The project has contributed to the development of roadside infrastructure, tourism potential and entrepreneurship. Environmental conditions have improved. Sand drifts were prevented by creating a streamlined cross-section of the road. A forest belt was created by planting saxaul along the road. Since 2012, Sambo Engineering Co. Ltd., as a construction supervision engineer, has been participating in the implementation of the project “Reconstruction of 58 km of A-373 Tashkent – Osh highway” on 116-190 km section passing through Kamchik Pass”. To date, all the planned activities on laying cement concrete canvases has been completed, and by the end of 2018, road infrastructure activities will be completed. 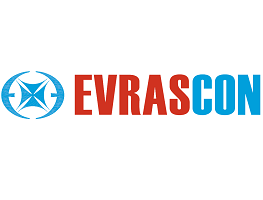 Euro-Asian Construction Corporation EVRASCON was established in 1968 in the city of Baku under the Ministry of Transport Construction of the USSR and began its activities as Mostootryad-100. As a result of the conducted reorganization, in 2001 the company received the status of a joint stock company and the name Azerkorpu OJSC. Due to high quality of work and willingness to take on the most complex projects, the organization has proven itself in various countries, which was the main reason for changing the name to a more universal one. In 2013, a rebranding was carried out, as a result of which the company changed its name to the Euro-Asian Construction Corporation EVRASCON. The Corporation is specialized in construction of bridges, highways, tunnels, hydraulic engineering and reclamation facilities, energy facilities, ports, major projects in the oil industry, industrial civil engineering, production of pile foundations and deep foundations, in production and installation of metal structures. EVRASCON Corporation offers high quality of implemented work, the world’s best construction equipment, the latest achievements in the field of construction, and qualified multidisciplinary personnel. Today, when Azerbaijan resembles a giant construction site, the EVRASCON Corporation, which has a multidisciplinary qualification, is one of the largest companies directly involved in large-scale construction activities in the country. In 2007, EVRASCON Corporation built a bridge using a prestressed reinforced concrete span for the first time in Azerbaijan, and in 2009 the highest bridge in the country, the supports of which is 34 m high (built of prestressed reinforced concrete). As one of the multidisciplinary companies in Azerbaijan, the Corporation carries out a number of important projects in various sectors of the economy, contributing to the rapid development of the country. In addition, the company is actively involved in construction and installation work abroad. Kazakhstan, Russia, Ukraine, Uzbekistan, Moldova and Turkey are among these countries. Branches of the company are located in countries such as Kazakhstan, Russia, Ukraine and Turkey. The Corporation participates in implementation of projects financed by major international financial institutions, such as the World Bank, the European Bank for Reconstruction and Development, the Asian Development Bank, the Islamic Development Bank and others. The corporation employs more than 5,800 people in Azerbaijan and 2,000 abroad. These highly qualified specialists of various profiles are involved in most responsible construction and installation work. In addition, the company regularly conducts active work on training young personnel. EVRASCON Corporation is a worthy competitor to leading foreign companies due to the high quality of work and innovative solutions. EVRASCON Corporation has implemented a number of projects related to construction of core network of transport routes and hydraulic structures in Uzbekistan. In 2014-2016, “Reconstruction of 40 km highway “Guzar – Bukhara – Nukus – Beyneu” project in the section of 315-355 km was successfully implemented. The total amount of the project is 117.0 million USD. The project initiator (customer) is the Republican Road Fund. EVRASCON Corporation carried out construction and installation work worth 66.57 million USD. The completion of the project ensured an increase in international transit traffic, created conditions for safe movement of goods and passengers in Bukhara – Nukus – Beyneu direction and back. Travel time has been reduced by almost three times. The project has contributed to development of roadside infrastructure, tourism potential and entrepreneurship. Environmental conditions have been improved. Since 2016, EVRASCON, as a general contractor, has been participating in implementation of the project “Reconstruction of 58 km A-373 Tashkent – Osh highway in 116-190 km section passing through Kamchik Pass. The total amount of the project is 211.2 million USD. A contract for construction and installation works was signed between the Customer and EVRASCON. Cooperation with GP Papenburg AG (Germany). The Committee is working on the issue of attracting foreign direct investment and creating a joint venture with GP Papenburg AG (Germany) for production of asphalt concrete mixture and other building materials within the framework of the resolution of the President of the Republic of Uzbekistan of November 30, 2017. No. RP-3414. In the future, by establishing the joint venture, it is planned to master production of asphalt mixing equipment of Teltomat brand and spare parts for them, as well as motor graders and other products for the road sector in the Republic of Uzbekistan. The total amount of investments in the joint venture that is being established is 5.7 million euros, including foreign direct investment – 4.0 million euros. The parties signed a Memorandum of Understanding and a protocol for agreeing on the main provisions of the memorandum of association of the joint venture participants. 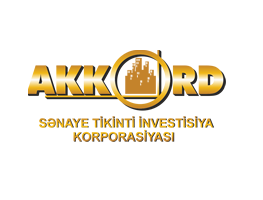 OJSC Akkord Industry Construction Investment Corporation was founded in 2005 and since then has been recognized for various achievements in development of non-oil sectors of Azerbaijan, and creation of new standards in construction industry. Akkord Industry Construction Investment Corporation proudly celebrated its 13th anniversary in 2018. It can be noted that being one of the leaders in the South Caucasus, the Corporation reached a high level in construction of residential and non-residential buildings, infrastructure projects, as well as in production of building materials. The main goal of the Corporation is to participate in significant local and regional projects, development as a transnational Corporation that is globally competitive. The idea is to create favorable conditions through implementation of large infrastructure, industrial, oil and gas, housing projects, as well as providing heritage for future generations. The corporation is a supplier of building materials such as cement, concrete, reinforced concrete products, marble, granite, asphalt, gravel, sand, brick, metal structures and other materials. Development and implementation of successful projects is the core of the corporation’s activity. Construction of residential and non-residential real estate, major infrastructure projects is the basis of the organization’s economy and social activities. With more than 12 years of experience in implementing projects with the highest level of quality, safety and technical training, it clearly demonstrates cooperation with customers and local communities. The mission of the corporation is to improve the environment through construction and design of infrastructure, industrial, oil and gas, energy and real estate-related solutions, as well as production of modern building materials, and combining the best resources and opportunities under the Akkord brand. The company’s development consists in a global source of solutions that unites construction, design and production, for guaranteeing sustainable growth and preserving heritage for future generations. Today, the Corporation includes many companies that have leading positions in the industry in their type of activity. Since its establishment, Akkord Corporation has been cooperating with many leading international companies and signing memorandums. Akkord is currently working on large infrastructure construction projects in Azerbaijan, Georgia, Kazakhstan, Uzbekistan and Turkey. In addition, a representative office of the Corporation is located in the city of Frankfurt (Germany). 65% of the Corporation’s activities are occupied by construction, 14% by real estate, 12% by manufacturing, 6% by project management and design, 3% by construction equipment services. Contracts were signed between the Republican Road Fund and the Akkord Industry Construction Investment Corporation OJSC (Azerbaijan) within the framework of implementation of the project “Reconstruction of M39 Tashkent – Termez highway” with participation of the Islamic Development Bank, for conducting construction and installation works worth 126.7 million USD on reconstruction of the 100 km long road (including 36 bridges) in Surkhandarya region (Baysun, Sherabad, Muzrabad, Angor and Termez districts). The project is a part of a large project on development of a regional corridor linking Uzbekistan with neighboring countries. Implementation of the project will serve as a strong support and stimulus for development of the economy of Uzbekistan and expansion of trade-economic ties with neighboring countries. As of November 1, 2018, the project was implemented at 98%. High quality of the implemented work was noted during the visit of the Islamic Development Bank mission to Uzbekistan in September 2018. Completion of the project is scheduled for the 1st quarter of 2019. 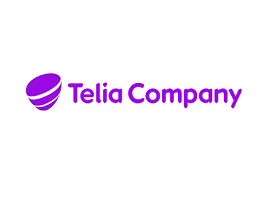 Telia Company provides telecommunications services in Turkey, Denmark, Estonia, Finland, Kazakhstan, Latvia, Lithuania, Moldova, Norway, Sweden, Turkey, and Uzbekistan. Today, Telia Company operates in 20 countries. The company was founded in 1853. The Headquarters is located in Stockholm. The company has 496,000 shareholders. In 2017, net revenue amounted to 79.867 million SEK. Number of employees – 19,632. In developing markets of Eurasia, Telia Company owns controlling interest in leading mobile operators in Kazakhstan (Kcell), Azerbaijan (Azercell), Georgia (Geocell), Moldova (Moldcell), Tajikistan (Tcell) ), Uzbekistan (“Ucell”) and Nepal (“Ncell”). At the same time, Telia Company is the largest minority shareholder of OJSC MegaFon in Russia and Turkcell in Turkey. Starting from June 16, 2011, under a single brand with Telia Company subsidiaries in Northern Europe and Eurasia, Ucell offers its subscribers a wide range of products and services, as well as all the experience and technical innovations of one of the largest operators in Europe. In 1996, FE COSCOM LLC was founded in Uzbekistan. In July 2007, Telia Company became the main shareholder of FE COSCOM LLC. In 2008, FE COSCOM LLC launched its plans on total modernization of radio-switching equipment, launching the 3G system and offering new, modern services to its subscribers. Ucell – trademark of FE COSCOM LLC. In June 2008, FE COSCOM LLC carried out a full restart of its trademark, and a new Ucell brand appeared instead of the COSCOM brand. VEON Ltd. is an international communications technology company. Headquarters is located in Claude Debussylaan, Amsterdam, the Netherlands. In 2017, the annual income amounted to 9.5 billion USD. 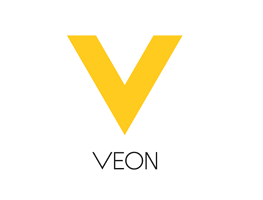 VEON Ltd. (shares of VEON Ltd. are listed on NASDAQ and Euronext Amsterdam) is a global provider of communications, with a desire to be the first in personal Internet services for more than 235 million subscribers that the company serves at the moment. VEON offers services to clients in 10 markets, including Russia, Algeria, Pakistan, Uzbekistan, Kazakhstan, Ukraine, Bangladesh, Kyrgyzstan, Armenia and Georgia. VEON operates under Beeline, Kyivstar, Jazz, Banglalink and Djezzy brands. In 2009, Beeline was declared the Most Valuable Russian Brand in accordance with a European brand institution with an estimated value of 7.9 billion euros. Also, in 2009, Beeline entered the top 50 Most Valuable European Brands. LLC Unitel company was founded in 1996 in Uzbekistan. LLC Unitel company is included in the group of companies of VEON Ltd. The company’s commercial activity began on September 25, 1997. From September 12, 2006, LLC Unitel provides services under Beeline trademark. Currently, Beeline is the largest telecommunications operator in Uzbekistan. As of 2017, the company’s subscriber base approached the mark of 10 million. On December 2, 2008, LLC Unitel was the first in Uzbekistan to announce the commercial launch of its 3G network. On September 4, 2014, it was the first in Uzbekistan to launch the 4G network using LTE technology for commercial operation. In three years, the company has expanded its 4G network in more than 20 cities of Uzbekistan. 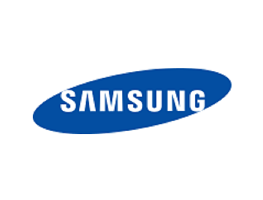 Samsung Group is a South Korean group of companies, one of the largest chaebol, founded in 1938. It is known as a manufacturer of high-tech components, including the full-cycle production of integrated circuits, telecommunications equipment, home appliances, audio and video devices in the world market. The Head Office of the company is located in Suwon. Samsung Electronics Co. Ltd. is the world technology leader in the field of semiconductors, telecommunications equipment and digital convergence, sales of which in 2007 amounted to 105 billion USD. Samsung Electronics employs 150 thousand people in 134 offices in 62 countries. The company consists of two divisions: Digital Media & Communications and Device Solutions. Samsung Electronics, recognized as one of the fastest growing brands in the world, is a leading manufacturer of digital TVs, memory cards, mobile phones and TFT-LCD monitors. In 2008, the company won the Grand Prix of the Brand of the Year/Effie contest in the New Name nomination (Duos phone), and in 2009 received three Prizes of the Product of the Year (LED TVs of the 7,000 series and the mini WiTuPC notebook). In 2017, Technic Globe JV LLC was established, which is engaged in production of TVs under Samsung brand, with an authorized capital of 9,436,939,900 UZS. The plant is located in Nukus city. The annual production capacity is 150 thousand pieces. 200 jobs are created. The project cost amounted to 6.0 million USD. 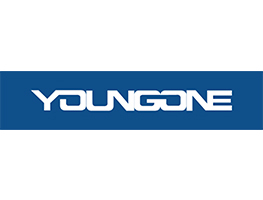 Yanguan Corporation was established in 1974 and today is one of the world’s largest manufacturers of top and sportswear, footwear, handbags, and sports equipment. The company’s production facilities are located in Korea, China, Bangladesh, Vietnam and El Salvador, which employ more than 80 thousand workers. The company is also involved in retail trade and, in addition to its own Yanguan brand, is a co-owner of major clothing and footwear brands for active recreation, the North Face, Goldwin. The company has its own research and development center, as well as production of synthetic materials and fabrics. Shares of the corporation are listed on international stock exchanges. The total sales of the company in 2017 amounted to about $2.0 billion, net profit – $231 million. Today, the production of garment and knitwear products has been commissioned in Samarkand, Stage I for a part of production areas of Bofanda JSC, $5.3 million of foreign direct investment has been mastered and over 300 new jobs have been created). 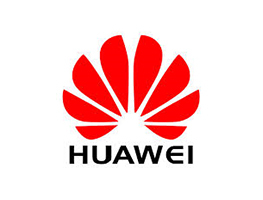 Huawei Technologies Co. Ltd. is one of the largest Chinese companies in the sphere of telecommunications. Founded in 1987 by the former engineer of the People’s Liberation Army of China, Zhen Zhenfei. Huawei operates in Uzbekistan for over 14 years. The company started its business in Uzbekistan with a small office with a staff of less than 10 people. Today, Huawei has a subsidiary with more than 150 employees, 80% of which are citizens of Uzbekistan. Moreover, starting from 2012, Tashkent was designated as the regional headquarters in charge of Central Asian countries and the Caucasus. Thanks to the friendly good-neighborly relations between China and Uzbekistan, as well as support and assistance of the Government of Uzbekistan, Huawei is an important partner of the leading telecommunications operators of Uzbekistan. Currently, Huawei provides equipment and service solutions to national operators Uztelecom, Unitel, Ucell, Perfectum Mobile and East Telecom. The company is a long-term investor in the sphere of information and communication technologies. Huawei invests in Uzbekistan, being confident in the economic prospects of this country. The Uzbek market plays an important role in Central Asia and the potential for developing the telecommunications market is enormous. Huawei is ready to contribute to the development of private entrepreneurship, creation of new jobs, provision of enterprises and residents of Uzbekistan with the most modern communication technologies. 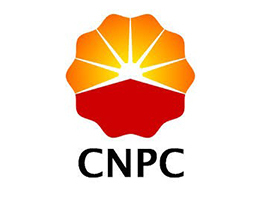 China National Petroleum Corporation is the world’s third largest oil company based in China and plays a leading role in petroleum industry of China. The company combines the business portfolios of both the oil company and the oilfield service provider with operations covering the entire oil and gas value chain. The company plays a big role in the global oil circle. Currently, CNPC is present in 31 countries, including Uzbekistan. On June 8, 2006, China National Petroleum Corporation for Exploration and Development (CNODC), a subsidiary of CNPC, entered into an agreement with Uzbekneftegaz National Holding Company for exploration in the oil and gas regions of Uzbekistan. On the basis of this Agreement, CNODC established a foreign enterprise CNPC Silk Road Group LLC (CNPC SRG), as a management company for implementation of CNODC’s investment commitments in Uzbekistan. Since then, CNPC SRG has been actively working on investment units Karajid – Gumkhana, Romitan, Karakul, Aralomorsk and Sams-Kosbulak, applying advanced technologies at every stage of work. In particular, it conducts seismic exploration with subsequent processing and interpretation of drilling data, well testing, etc. In addition to CNPC SRG, CNODC invested in a project of the Aral Sea, which is being implemented under the Production Sharing Agreement (PSA), and in the project of exploration and development of oil fields in Mingbulak. The main priority of CNODC is given to issues of safe operation, environmental protection, consideration of corporate and public interests. Rieter is the world’s leading supplier of systems for forming short staple fibers. Based in Winterthur (Switzerland), the company develops and manufactures machines, systems and components used to convert natural and man-made fibers and their mixtures into yarns. Rieter is the only supplier worldwide for covering the spinning preparation process, as well as all four final spinning process that are currently installed in the market. With acquisition of SSM Textile Machines in mid-2017, the company invested in related areas of the textile value chain, thereby expanding its portfolio. With 17 production sites in ten countries, the company has a working group of about 5 250, about 20% of which are located in Switzerland. 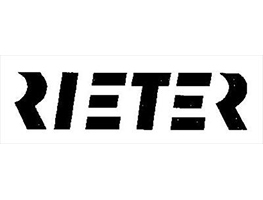 Rieter is a strong brand with a long tradition. Since its establishment in 1795, the Rieter innovation impulse has become a powerful driving force for progress in the spinning industry. Products and solutions are ideally suited to meet the needs of their customers and are largely produced in their respective markets. With a global sales and service organization and a strong presence in the main markets of China and India, Rieter, as a market leader, is well positioned in a global competitive environment. In the interests of shareholders, customers and employees, Rieter is committed to sustainable growth in the value of the company. With this in mind, Rieter seeks to maintain continuous growth in sales and profitability, primarily through organic growth, but also through strategic alliances and acquisitions. The company consists of three business groups: “Machines and Systems”, “After Sales Service and Components”. In compliance with the Resolution of the President of the Republic of Uzbekistan of February 21, 2011 No. RP-1484 “On measures for organization and production of modern textile equipment by Maschinenfabrik Rieter AG (Switzerland) on the basis of a part of production area of ​​the liquidated Uzbektekstilmash in accordance with the signed on February 14, 2011 between Uzbekyengilsanoat JSC and Maschinenfabrik Rieter AG (Switzerland) by the Agreement on implementation of the investment project, an investment project on organization of modern high-tech on production of textile machinery. On 10 October 2012, the first stage of Rieter production plant was officially launched in Uzbekistan. In Uzbekistan, Rieter equipment has been installed at 83 enterprises of the industry. Its share in the technological park of modern spinning equipment in Uzbekistan exceeds 50%. Created by IE LLC “Rieter Uzbekistan”, for the period of 2011-2016, more than $13.0 million of foreign direct investment was mastered, an assembly production for manufacturing belt, carding and ring spinning machines was commissioned. At the beginning of 2017, a modern training center “Riter” for implementation of the educational process was commissioned, and a training program was developed and approved. Within the framework of implementation of the Resolution of the President of the Republic of Uzbekistan of 04.12.2015. No. RP-2444 “On measures of expanding production of modern textile equipment” by the company Rieter AG on expanding localization of textile equipment production in 2017-2018, a metalworking project was implemented at Uzbekistan-Swiss JV Metal Processing. The amount of used foreign investment is about $4 million. The company has a processing capacity of 760 tons of metal per year with the manufacture of various parts of any complexity for the machine tool industry. About 60 jobs are created. The technological line allows to process metal sheets with a thickness from 1 mm to 12 mm and includes: preparatory part, high-precision laser cutting, welding, powder coating line, quality control. Uzbekistan is an important cotton producer with an annual volume of more than 1.1 million tons of high-quality cotton fiber. Today, this cotton is exported in large amount. The strategy of the State Joint Stock Company Uzbekyengilsanoat, which deals with issues of development of textile and light industry, is aimed at increasing the value added in the textile sector through the active introduction of high-tech spinning equipment. In Uzbekistan, the company launched production of three types of textile equipment – belt, carding and ring spinning machines. Today, Rieter is working on attracting local resources and further localizing production in Uzbekistan. Rieter has the honor to highlight the results achieved and hopes for further development of the spinning industry in Uzbekistan and the Rieter Uzbekistan joint venture. 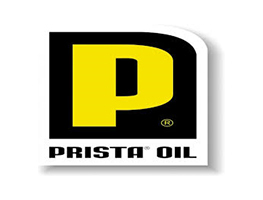 Prista Oil Holding EAD is a dynamic and progressive company operating in lubricants business and operates in the countries of the European Union, Turkey and Central Asia. Battery business – through the structure of Montbat (one of the blachips of Sofia Stock Exchange). Prista Oil Holding is one of the leading Bulgarian companies operating in more than 45 countries in Central and Eastern Europe, the Middle East, Central Asia and North Africa. Production facilities of Prista Oil are built and developed in accordance with the most modern and innovative technologies. A wide range of products is the result of the company’s own research and excellent cooperation with world leaders in petroleum and chemical industries, such as Chevron, Gulf Oil Marine, Lubrizol and others. Uzbekistan – Bulgaria Joint Venture LLC Uz-Prista Recycling was established in accordance with the Resolution of the President of the Republic of Uzbekistan No. RP-1759 of 22.05.2012. The company is implementing a project on “Organization of production of base oils from used technical oils (uto)” in the Special Industrial Zone (SIZ) “Angren”. Currently, with participation of Prista Oil Holding EAD, the following joint ventures have been established on the territory of Angren Special Industrial Zone: Uz-Ecoprotect JV LLC for collection of about 40 thousand tons per year of used lubricants and JV LLC Uz-Prista Recycling – for processing waste lubricants and production of modern motor oils. The joint venture supplies about 100 types of lubricants to consumers operating in the local market, including GM Uzbekistan, MAN, CNH Industrial, Caterpillar, Mercedes-Benz, Isuzu and others. About 70% of the total volume of manufactured products are exported to Bulgaria, Hungary, Georgia, Kazakhstan, China, Kyrgyzstan, Turkey, Ukraine, India, Vietnam, Macedonia, the United Arab Emirates, the Baltic States and other countries. Export products are also guaranteed to be sold through the extensive European network of consumers. Products of JV LLC Uz-Prista are direct or indirect sources of income for hundreds of people in Uzbekistan. The company adheres to a policy based on maximum partnership with local manufacturers of packaging materials, cans and other necessary products for the company. Uz-Prista JV LLC considers it an honor to have the opportunity to work in a country like Uzbekistan, where hospitable, open and hardworking people live. Here you can achieve high results in various sectors of the economy. Uz-Prista JV LLC maintains mutually beneficial close and strong relations with partners, always realizes the constant care and support from the management of Uzbekneftegaz National Holding Company and JSC Uznefteprodukt, as well as experts of Fergana Oil Refinery. 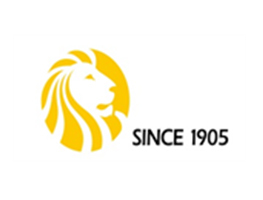 Established in 1964, Nobel Ilac is the flagship subsidiary of Ulkar Holding, a leading group of vertically integrated pharmaceutical companies headquartered in Istanbul. Activity of this holding and the company’s experience cover a wide range of areas, including research and development, the synthesis of active pharmaceutical ingredients (API), production of pharmaceutical dosage forms, as well as sales and marketing. Nobel Ilac aims to develop and manufacture high-quality pharmaceutical products, continuing its journey as a global player. 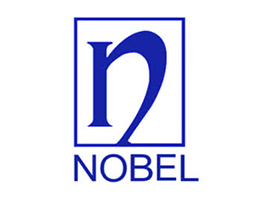 Thanks to the wide network of international trade and marketing, Nobel is the leading brand in twenty countries located mainly in the countries of Central Asia, Europe and the Middle East. Established by the company in 2000, the enterprise in Uzbekistan today is a leading manufacturer of high-quality pharmaceutical products. FE “Nobel Pharmsanoat” has 250 professional experts. The encouraging realities of today and the bright prospects for future of Uzbekistan strengthen the company’s commitment to work and further investment. Nobel highly appreciates the far-sighted export-oriented strategy of the Government, which has allowed Uzbekistan to turn into a regional investment hub. 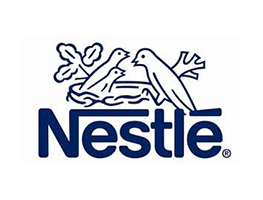 Nestle is the largest producer of food and beverages, as well as an expert in the field of healthy nutrition and healthy lifestyle. The company’s credo is to improve life by providing consumers with high-quality products. The history of Nestle begins in 1866. Today, the company has over 4,000 brands known to consumers in 6 continents. Nestle has 330,000 employees in more than 150 countries, has factories and offices in 83 countries. Nestle Uzbekistan LLC was founded on the basis of Nafosat dairy plant in Namangan region in February 2000 (in accordance with the Resolution of the Cabinet of Ministers of October 13, 1999). The company believes in huge long-term potential of Uzbekistan, and therefore continues to invest in the country. The company in Namangan began operations in 2002. Initially, production of drinking water and sterilized milk was launched in Namangan plant. Later in 2004, mastered the production of children’s cereals. In 2011, Nestle Uzbekistan launched a new drinking water plant in Tashkent. In 2013 – a new milk production plant in Namangan. Nestle Uzbekistan plants are equipped with advanced European production lines, which are updated on a regular basis. Each stage of technological processing of all raw materials and packaging is carefully monitored in modern laboratories. LLC Nestle Uzbekistan takes an active part in supporting farmers by organizing various educational programs and consultations. 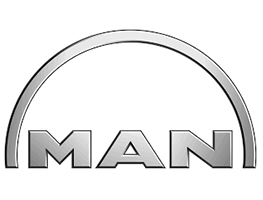 MAN Truck & Bus AG is the largest subsidiary of MAN SE CO European Company with headquarters in Munich. It produces trucks of MAN, ERF (United Kingdom) and STAR (Poland) brands, as well as Neoplan buses. The world-famous manufacturer of trucks, the German Corporation MAN, produces an impressive range of various buses. MAN in its plant in Salzgitter collects a whole range of city, intercity and tourist buses, as well as an even more numerous chassis series, on which specialized companies install various bodies of their own manufacture. JV MAN Auto-Uzbekistan enterprise was established in the Republic of Uzbekistan on August 9, 2009, according to the Resolution of the Cabinet of Ministers No.224 of August 7, 2009. The founder of the enterprise from the Uzbek side is Uzavtosanoat (Uzbekistan Automobile Industry) joint-stock company, and MAN Truck & Bus AG from the German side – one of the leading international suppliers of trucks and services in the field of automobile transport. The production capacity of JV MAN Auto-Uzbekistan LLC is located in Jambay district of Samarkand region. The production area of ​​the enterprise is 26.34 hectares. Products of the enterprise are MAN trucks with a gross weight from 15 to 50 tons: truck tractors, dump trucks, vans, special machinery. The capacity of the plant is designed to produce over 3 thousand trucks per year with the possibility of increasing to 8 thousand units. The plant is working on localization of production. First of all, the cab for MAN CLA trucks is being actively developed. Further, it is planned to master production of interior and exterior cab parts, and in the future details of high complexity of production, such as a silencer, exhaust pipe, frame spar, front beam and others. To date, the model range is more than 60 types of MAN trucks of CLA, TGM, TGS series. The company also takes into account the individual wishes of customers on production of new models. On July 30, 2012, the opening ceremony of the new assembly plant on production of MAN heavy trucks, which is located next to the dealer and service center, took place. The power and strength of MAN trucks assembled in Uzbekistan can be seen in construction and reconstruction of roads, railways, long-distance cargo transportation. They are successfully operated by the State Committee of the Republic of Uzbekistan for Roads, GM Uzbekistan, SUE Makhsus Trans, LLC Fergana Oil Refinery, Uzbekistan Railways, Angren Logistics Center, Ministry of Agriculture and Water Resources, OJSC Uzdonmakhsulot, Trust 12 construction company, Bekabadcement OJSC, Navoi and Almalyk MMCs and many others, including private companies. 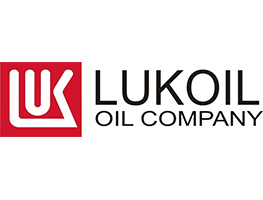 LUKOIL is one of the largest publicly vertically integrated oil and gas companies in the world, accounting for over 2% of world oil production and about 1% of proven hydrocarbon reserves. Every day millions of people in more than 100 countries buy products of the Company, energy and heat, improving the quality of their lives. More than 100 thousand people combine their efforts and talents to ensure the effective development of the Company and its advanced position in the market. For LUKOIL, Uzbekistan is one of the key regions where the company implements its mega-projects. The total investment of LUKOIL in Uzbekistan economy exceeded $5 billion, while the expected volume of investment for the entire period of project implementation is $8 billion, turning the company into the largest investor in the country. On June 16, 2004, the Government of Uzbekistan and a consortium of investors consisting of LUKOIL JSC and Uzbekneftegaz National Holding Company signed a Production Sharing Agreement for Kandym group of fields, Khauzak and Shady blocks and the Kungrad block. By 2018, LUKOIL intends to increase the production of natural gas in Uzbekistan to 18 billion cubic meters per year. Full and timely fulfillment of investment commitments indicates that LUKOIL implements its large-scale projects in full volume thanks to its own innovative production potential and experience, as well as close and fruitful cooperation with Uzbekistan partners. It should be noted that during the years of independence Uzbekistan has developed a broad system of legal guarantees and benefits for foreign investors, created a favorable investment climate, characterized, first of all, by political and economic stability. Favorable business environment in the country is based on a number of legislative acts, such as the Laws “On guarantees and measures of protecting the rights of foreign investors”, “On foreign investments”, Decrees of the President of the Republic of Uzbekistan “On additional measures of promoting foreign direct investments”, “On measures of attracting foreign direct investment in oil exploration and production”, “On additional measures of stimulating the export of products produced by enterprises with foreign investment”, etc. The experience of fruitful cooperation with Uzbekneftegaz National Holding Company showed that the company is one of the most important components of fuel and energy sector of Uzbekistan, making a huge contribution to the energy independence of the republic. Family enterprise LEMKEN is a leading international supplier of specialized products for professional crop production. The product range of the company includes a variety of high-performance equipment of excellent quality designed for tillage, planting and plant protection. All activities of the company LEMKEN are focused around the development of innovative solutions. They are designed to help farmers feed the whole world. Today the field of agricultural engineering is an important component of Uzbekistan – Germany investment cooperation. Vivid confirmation of this is the production enterprises in Uzbekistan created with participation of a number of leading German companies. In particular, one of the successful examples is the joint venture LEMKEN Chirchiq, established in December 2011 in accordance with the agreement reached between Chirchiqqishloqmash JSC and LEMKEN GmbH & Co. KG (FRG). In February 2012, the joint venture was commissioned. 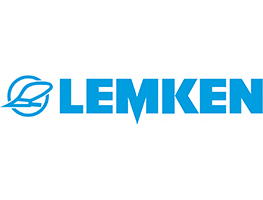 The company has launched production of modern agricultural equipment under the brand name “LEMKEN”. Today, the mounted reversible plows EurOpal 73+1 N100, EurOpal 74+1 N100 and VariOpal 95+1 N100, Zirkon 8/250 rotary harrows, VarioPack 110 WDP 70 packers and Saphir 7/300-DS mechanical seed drills are manufactured at JV LEMKEN Chirchiq. Currently, the company is working intensively on expanding the range and volume of products. Work is also underway on developing production of sheet, pipe, circular, stamping, assembled-welding and injection molded parts. Important partners in this direction are FE Elektroapparat-Elektroschit JSC, Foundry Mechanical Plant, Instrument LLC, Art Mechanic PE, Imex Group LLC, Ivna Service LLC and Rim Coloss LLC, and Suvsanoatmash JSC and JSC Aggregate Plant. It should be emphasized that agriculture is the leading sector of the economy of Uzbekistan and plays a key role in ensuring socio-economic sustainability. In turn, development of this industry cannot be imagined without a modern fleet of agricultural machinery. In this regard, the production of agricultural machinery in Uzbekistan is of key importance, since the country has necessary resource potential and specialists-engineers for this. In general, the market of agricultural equipment of Uzbekistan is very promising. 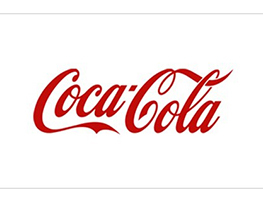 Coca-Сola, the world’s largest producer of non-alcoholic products, offers consumers about 3,600 types of carbonated and non-carbonated beverages. Along with Coca-Cola brand, which is recognized as the most expensive in the world, the company’s portfolio includes 20 other brands the value of which is more than a billion dollars. It is about such drinks as Diet Coke, Fanta, Sprite, Coca-Cola Zero, Vitaminwater, Powerade, Minute Maid, Georgia Coffee and others. Coca-Cola is the world’s No. 1 supplier of drinking water, carbonated and non-carbonated beverages, juices, nectars, as well as ready-to-drink teas and coffee. Thanks to the largest distribution system in the world, consumers in more than 200 countries around the world enjoy Coca-Cola drinks. More than 1.9 billion servings of the company’s drinks are sold every day in the world. In order to ensure environmental sustainability in the regions where Coca-Сola operates, it forwards initiatives aimed at protecting the environment, preserving natural resources, as well as the economic development of these regions. Producer of non-alcoholic soft drinks, a joint venture, Coca-Cola Ichimligi Uzbekiston LTD. LLC has been active in the market of Uzbekistan since its registration in 1993. The official opening of the company took place in March 1994. On this day, the first production enterprise, located on Besh-Agach area in the city of Tashkent, began operating. The first soft drinks produced in Uzbekistan were poured into 0.25-liter glass bottles. Coca-Cola Ichimligi Uzbekiston LTD LLC was the first company in Uzbekistan to deliver its products to customers on its trucks. Soon the company focused on two key objectives: increasing the production capacity of the enterprise and developing marketing and product marketing strategies. Initially, the company sold most of its products in the markets of the city of Tashkent. To increase the availability of products throughout Uzbekistan in May 1996, the company launched another bottling plant in Kibray district of Tashkent region. Here, three production lines produced Coca-Cola, Fanta, Sprite and BonAqua, which were bottled in 1.5-liter plastic (PET) bottles. This type of packaging allowed the company to deliver products even to the most remote regions of the country. In February 1997, another plant was launched in the city of Namangan to provide drinks for the entire Fergana Valley. A few months later, in June 1997, the fourth plant in Uzbekistan was opened, this time in the city of Urgench, to supply the western part of the republic with high-quality products of the world famous manufacturer. Within the framework of the long-term development strategy of the company, in August 1998, the opening ceremony of the new modern Mega plant in Bektemir district of the city of Tashkent was held, instead of the two previously operated plants in Besh-Agach and Kibray, mentioned above. During this period, the Mega Plant was the largest Coca-Cola plant in Central Asia. Starting production in 1993 with several people, today the company has grown into one of the largest food industry enterprises in the republic, with a team of nearly a thousand and a half professionals looking for bringing a joy and pleasure to their customers every day. During its existence in Uzbekistan, the company has expanded the network of branches, distribution centers and ensured the availability of produced beverages throughout the country. In addition to availability, another important reason why people choose Coca-Cola products is the world-famous product quality. The drinks produced by the company meet international quality standards. Knauf Gips KG is an international innovative production company. Headquartered in Iphofen, Northern Bavaria (Germany). 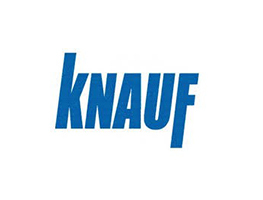 Knauf was founded by the brothers Alfons and Karl Knauf in 1932 in Germany. In 1949, in northern Bavaria, a plant for production of gypsum building mixtures was established. In 1958 - the first plant for production of gypsum plasterboards was launched. In 1970, Knauf acquired a stock of Deutsche Perlite GmbH (Dortmund), which at the time was producing cement-based dry mixes. Diversifying its business, Knauf acquired plant for production of insulating materials of glass fibers in Shelbyville (United States). In 1993, Knauf began investing in Russia, then enterprises were acquired and established in Ukraine, Moldova, Kazakhstan, Uzbekistan and Azerbaijan. The company is also engaged in charity activities. Uzbekistan is the leading industrial state in Central Asia and one of the most densely populated countries in the CIS, where the construction and production of building materials are among the priority spheres of economic development. Uzbekistan is an attractive market for foreign investors. As the main factors determining the country’s attractiveness for Knauf, political stability, favorable geographical location in the heart of Central Asia, which creates good conditions for development of mutually beneficial regional cooperation. Another factor is the presence of stable and high-quality raw material base – gypsum deposits with a high calcium content. Foreign investors are granted privileges and preferences, which include exemption from property and income taxes, customs duties on the import of materials and equipment. An additional factor is also the boom of construction industry. It is also important that the dynamics of the rapid growth of capital construction in Uzbekistan and neighboring countries will be maintained over the long term. A year after the launch of the drywall plant, Knauf became the leading manufacturer and supplier of this building material in Uzbekistan. Moreover, today over 30% of products are exported to the countries of Central Asia, including Afghanistan. The official opening of Knauf plasterboard factory took place on September 22, 2011. The capacity of the plant allows annually to produce 20 million square meters of high-quality drywall. Quality, efficiency and environmental friendliness form the basis of Knauf’s strategy in achieving competitiveness, maintaining and increasing market share. On May 16, 2018, the official opening of the Knauf production line — sheets after a large-scale reconstruction at the Knauf enterprise of the GIPS Bukhara took place in Bukhara Region. CLASS is one of the leading global manufacturers of agricultural equipment. The company, headquartered in the city of Harsewinkel, in the federal state of Westphalia, is the leader in the European market of combines. For forage harvesters, CLAAS ranks the first in the world. CLASS is also a leading global player in the field of agricultural equipment, including on production of tractors, agricultural balers and harvesting equipment. CLASS products are distinguished by high productivity, safety and quality. In general, CLASS Group has achieved high rates of development over the past two decades. Trade turnover increased from 500 million euros in the early 90s to the current level of almost 3.4 billion euros. CLASS employs about 9 thousand employees worldwide. 75% of the company’s revenues accounted for international markets. In accordance with the Resolution of the President of the Republic of Uzbekistan of 19.03.2010, JV Uz CLAAS Agro was established in Uzbekistan. Today, the plant manufactures such machines as combine harvesters Dominator 130, Tucano 430, universal combines Axos 340, Arion 630C, Axion 850, Jaguar 850 combines and Markant 55 balers. The company, together with local partners, brought the localization level of components for CLAAS machines in Uzbekistan to 50%. There is a central office and warehouse in Tashkent and regional service centers in Andijan, Bukhara, Jizzakh, Kashkadarya, Navoi, Namangan, Samarkand, Syrdarya, Khorezm regions and the Republic of Karakalpakstan. During the harvest season, mobile parts stores are created in each region. Favorable investment climate in Uzbekistan and a well-thought-out system of privileges for enterprises with foreign investments, as well as rapid development of farms, contribute to achievement of high growth rates of the company. The history of ITOCHU Corporation began 150 years ago, with a small store for retail sales of textile products. Today, being one of the 500 largest companies with representative offices and subsidiaries worldwide, uniting over 62 thousand employees, ITOCHU pays serious attention to its further development. With approximately 130 offices in 66 countries of the world, ITOCHU is one of the leading trading companies specializing in domestic trade, import and export of various types of products. These are textiles, information and communication technologies, machinery and equipment, energy carriers, metals, minerals, chemical products, food products, as well as provision of services in the spheres of construction, real estate, finance, insurance and logistics. ITOCHU opened its representative office in Uzbekistan in 1996. Today, the corporation remains firmly confident in development of business in the country. Currently, ITOCHU has long-term relationship with many organizations and companies of Uzbekistan, such as Samarkand Automobile Plant LLC, Navoi Mining and Metallurgical Combine State Enterprise, enterprises of textile and electronic industry and others. 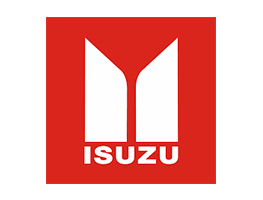 In particular, the corporation since 2007 is the holder of shares of Samarkand Automobile Plant LLC (SamAvto) and supplies Isuzu Motors Ltd assembly components. They are used by SamAvto LLC in production of trucks and buses. Thanks to joint efforts within the framework of partnership with SamAvto LLC, many promising projects are being developed, including on production of cars running on natural gas and new types of buses and trucks. Introduction of traditional Japanese philosophy Kaizen at the plant of SamAuto LLC, which optimizes the production process, is also planned. This philosophy has been adopted by many leading companies in various industries and allows to achieve the best results and cost savings while avoiding dramatic changes in the business model. ITOCHU Corporation aims to continue the long-term partnership and further development of business in Uzbekistan. Indorama Group was established in 1976 with a headquarters in Singapore and is one of the largest yarn manufacturers in Southeast Asia (500 thousand yarns). The company’s textile production facilities are located in Indonesia, Thailand, Turkey and Sri Lanka, the total yarn production per year is 135 thousand tons (of which 26% in Uzbekistan). In addition to textile production, the company has large capacities in the oil and gas chemical sectors, the production of polyester and synthetic fabrics, chemical fertilizers. The company is the world’s largest producer of polyester yarn, with a global market share of more than 5%. More than 30 thousand employees work at 70 industrial enterprises of the corporation in 28 countries of the world. Group’s total annual income is $10.5 billion. Indorama began its activity as a small textile enterprise in the 70s. In the 90s, it began to produce polyester fiber, which served as the raw material for its own textile business. The organization was lucky to see great opportunities for growth of polyester and it was decided to focus on the chain of increasing the cost of polyester. Today, Indorama is the largest producer of polyester and PET resin in the world. In 2006, it diversified its activities, starting production of polyolefins, which has become an important part of its business today. Indorama has 39 production facilities in 22 countries located in 4 continents including Indonesia, Thailand, India, China, Sri Lanka, the Netherlands, the United Kingdom, Lithuania, Italy, Turkey, the United States, Mexico, Egypt and Nigeria. 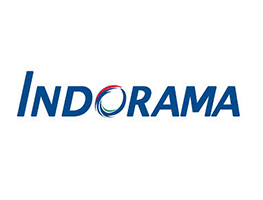 Indorama Company created Uzbekistan – Singapore joint venture Indorama Kokand Textile on the basis of unfinished construction of property complex Kokand Textile Mill with a share distribution: 91.42% Indorama and 8.58% Uzbekistan National Bank. The total area of ​​the enterprise is 17.3 hectares. In 2010, Indorama put into operation a modern cotton yarn plant in Uzbekistan using the most advanced compact technologies. Uzbekistan is one of the largest exporters of cotton in the world, and the plant of Indorama company turns cotton fiber into high-quality yarn for the textile industry. In the period from 2010-2016 in accordance with the resolutions of the President (No. RP-1333 of 06.06.2010, No. RP-1829 of 15.10.2012, No. RP-2111 of 14.01.2014 and No. RP-2365 of 30.06.2015) four stages of the project were implemented at Indorama Kokand Textile JV, the total amount of foreign direct investment utilized exceeded $164.0 million (including $120 million from Indorama Industries’ resources, 40 million dollars – loan funds of the International Finance Corporation (IFC) without a government guarantee, $4.2 million of Uzbekistan National Bank’s contribution to the authorized capital). More than 1,100 jobs were created, exports in 2017 amounted to $93.7 million. Uzbekistan is also one of the world’s largest natural gas producers, and has significant hydrocarbon reserves. At the same time, a small part of natural gas is converted into petrochemical products. Indorama and Uzbekneftegaz National Holding Company are working together on a project aimed at production of polyethylene from natural gas. The first investments in any direction are always a difficult task, since it is necessary to become acquainted with the existing business and cultural environment. Fortunately, we worked with good local partners, and had active support from the Government. This helped us overcome early challenges and quickly become familiar with local customs. The result was that we were able to complete the construction of our cotton yarn factory in less than a year. This clearly reflects our confidence in investment climate of the country. In many countries there are various challenges associated with investments, but Uzbekistan differs in that here investors are given effective support from the Government. This helps us overcome various obstacles, achieve positive results and actively pursue business development. Uzbekistan has an excellent infrastructure compared to many other countries. In addition, there is an abundance of electricity, the cost of which is quite competitive. The country has a young and educated population, the presence of qualified personnel. If to look at Central Asia and the states surrounding Uzbekistan, it will become possible to see that this country is one of the most stable in the region. Zhisheng Group was created in 2000, headquartered in Jiangsu (PRC). It is a group of industrial companies specializing in textile, mechanical engineering and other industries. The group consists of 77 companies and enterprises located in Germany, Switzerland, China and other countries, with a cumulative annual turnover of more than $3 billion. The total assets of the group are $2.3 billion. In particular, the group includes the leading manufacturer textile equipment company SAURER (Germany), as well as machine-tool enterprise EMAG (Germany). In accordance with the signed investment agreement of October 17, 2014 and the Resolution of the Cabinet of Ministers of October 31, 2014, No.305 “On measures for organization of textile production in Karshi district of Kashkadarya region” by Zhisheng Group (PRC), through the subsidiary LT Textile Cooperative (the Netherlands), a foreign company LT Textile International was established in an area of ​​30.7 hectares in Karshi district of Kashkadarya region. In July 2017 due to development of more than 90.0 million dollars of foreign direct investment, the first stage of the project was implemented and high-tech textile production was created with a capacity of 15 thousand tons of cotton and mixed yarn per year (processing 18 thousand tons of cotton fiber), 500 jobs were created. 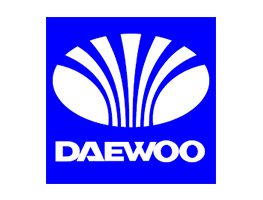 Daewoo began working with Daewoo Unemployment in 1967 and played a leading role in economic development of Korea through export growth. In 1982, Daewoo Industrial Co. Ltd. changed its name to Daewoo Corporation and became a trading company. In 2000, it was divided into Daewoo International Co. Ltd. and was launched as an independent corporation with international business, project management and resource development. Since then, the Corporation has achieved significant growth, with an average annual sales growth of 30%. In 2010, POSCO became a member of the Daewoo group. They changed its name to POSCO Daewoo in 2016. In 2017, they led the globalization of the POSCO group, merging with POSCO P&S Steel Business. POSCO Daewoo uses 87 overseas networks around the world to work with a wide range of clients from home and abroad, including steel, automobiles, parts, machinery, electronics, non-ferrous metals, food, chemicals, materials for life and textile. In addition, POSCO Daewoo works as a project organizer, which plays a key role in promoting foreign projects, such as the EPC project, a private electricity business, as well as the export of equipment for industrial equipment and trade in three countries. DEU International Corporation has three factories in Fergana region. In particular, a spinning factory in Tashlak district, a weaving factory in Akhunbabayev district, which were founded in 1997 and 1998, respectively. In 2006, another spinning mill with weaving production was acquired in the city of Fergana. Now, after 20 years from the date of the first investments in the textile industry of the country, I believe that FE DEU Textile Fergana is the only foreign enterprise that witnessed the consistent improvement of the tax and customs systems of the republic. Today, a favorable climate for investment activity is created in the country. The tax burden has been significantly reduced, VAT has been reimbursed to exporting enterprises in a timely manner, the principle of a single customs window has been introduced, some procedures (reporting, licensing and others) have been abolished, and bureaucratic methods that hinder activities of exporters have been reduced. In addition, the creation of free-economic and industrial zones in the country opened up new horizons for foreign investors. The key success factors for doing business in Uzbekistan are a rich resource base; favorable geographical location; integrated into the network of land and air transport, logistics system; diversified industrial base and scientific-intellectual, personnel potential of the republic. Success of the company in the republic is achieved due to three factors. First, a responsible approach to their work and high-tech equipment, which allowed to ensure the stability of production. Secondly, the driving factor is constant collaboration with the customer on finding solutions to improve production efficiency. In particular, the increase in productivity, reduction in the cost of finished products and improving its quality. The third and, perhaps, the most important aspect of successful development is the long-term experience and high qualification of the company’s specialists. 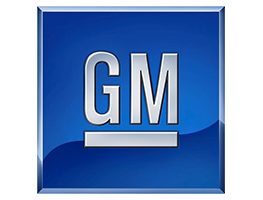 General Motors Company is the largest automobile manufacturer in the United States. The company had started operating in 1900. Brothers Max and Morris Grabowsky created a truck for sale equipped with a single-cylinder horizontal engine. In 1902, the Rapid Motor Vehicle company was founded, which began producing trucks with a single-cylinder engine. It was originally founded by William C. Durant in 1908 as a holding company. It absorbs Rapid Motor Vehicle and all other small automobile companies in Michigan. In 1909, the first generation of GMC trucks was produced. And in 1916, the General Motors Corporation was founded. In the early 2000s, the position of General Motors got worse, leading to bankruptcy and reorganization of the company. New GM appeared in 2009. GM’s new shareholder structure became as follows: 60% were received by the United States Government in exchange for financial assistance, 12% by the Government of Canada, 17.5% were received by the United Automobile Workers union, and 10.5% by GM’s creditors. Currently, General Motors owns automobile brands such as Buick, Cadillac, Chevrolet, GMC, and Holden. Previously its produced Oldsmobile, Pontiac, Hummer, Saturn, Asüna, Acadian, Alpheon, Geo. Until 2008, the largest automobile manufacturer in the world for 77 years. Production is established in 35 countries, sales in 192 countries. The annual turnover is $166.5 billion (December 2017), the net profit is $19.322 billion. The company’s headquarters is located in Detroit (USA). On October 8, 2007, an agreement was signed in the Republic of Uzbekistan on establishment of an enterprise with foreign investment in the form of a closed joint-stock company General Motors Uzbekistan with an authorized capital as of the registration date in the amount equivalent to $266.7 million, based on UzDaewooAuto, CJSC. GM Uzbekistan JSC, Asaka, 250 thousand automobiles. GM Uzbekistan JSC’s branch in Tashkent city – 10 thousand automobiles. Main sales markets: Russia, Kazakhstan, Ukraine, India and other CIS countries. Currently, 3 production sites of GM Uzbekistan JSC are producing 10 automobile models under the Chevrolet and Ravon brands, in particular, Matiz, Spark (R2), Nexia (R3), Cobalt (R4), Lacetti (Gentra) models are produced at the main production plant in the city of Asaka, Captiva and Malibu models in Tashkent city branch, Damas and Labo models in Pitnak city branch. In April 2011, the Spark became the “Car of the Year in Russia 2011” in the “City Cars” nomination. In May 2018, it received the third degree of quality integration in the plant’s production process – BIQ III (Built-In Quality) certificate.